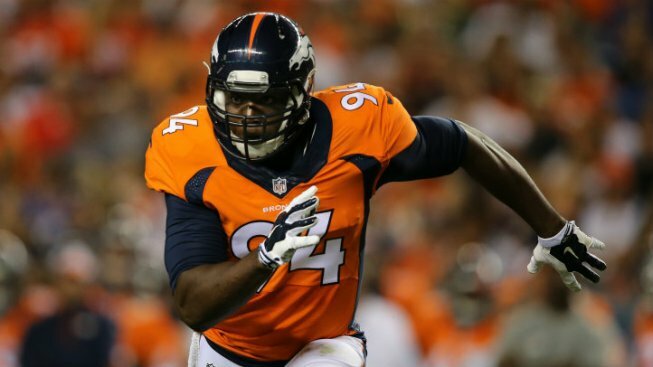 DeMarcus Ware has had a fantastic, Hall of Fame career, most of which was spent with the Dallas Cowboys before he was jettisoned and signed with Denver a couple of years ago. Now, he'll be playing in a Super Bowl for the first time in his career after he was a key member of a Denver defensive dominance of Tom Brady and the Patriots in a 20-18 win on Sunday. Ware registered a half-sack and put constant pressure on Brady, especially in the fourth quarter that saw him be especially dominant. In all, the Broncos hit Brady 23 times — the most times an NFL quarterback has been hit in game in nearly 20 years. Another player with DFW ties, DeSoto's own Von Miller, was equally dominant as he pestered Brady for the entire game — mainly in the first three quarters — before Ware took over in the final quarter. While Ware getting to his first Super Bowl is a big story, the media darling for the next two weeks will undoubtedly be Broncos quarterback Peyton Manning, who could very well play in his final NFL game in Santa Clara, and the aging veteran praised Miller, Ware and his entire defense after getting the final say in the epic Brady vs. Manning rivalry. "I've enjoyed playing on the same team as that defense," Manning told reporters of the Broncos' defense that is coordinated by former Cowboys head coach Wade Phillips.